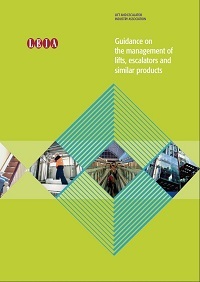 This is a nineteen-page publication referencing most of the legislative provisions directly affecting lifts, escalators and similar products, as well as a number of non-statutory guidance documents. 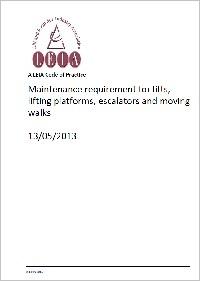 It contains information about which all those with responsibilities for lifts/escalators should be aware. Also included is information on maintenance. Hard copies are available at no cost for small quantities through the Association. Order here. These recommendations pick up the European Standard published in 2004 entitled ‘Rules for the improvement of safety of existing passenger and goods passenger lifts’ (BS EN 81-80). Recognising that many lifts in service are between 20 and 40 years old. 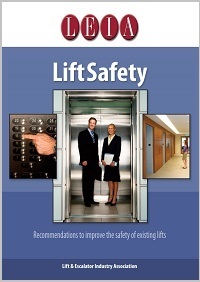 Based upon risk assessment, it gives guidance to lift owners on a number of features for which there should be regard when reviewing the safety of lift installations. 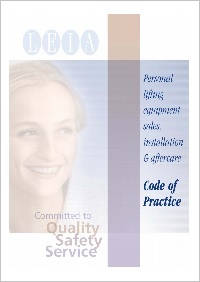 The LEIA Maintenance Code of Practice has been produced to assist LEIA members and their customers in working together to put in place a maintenance regime to match the customer’s needs and which, protects the people who use and work on the products covered by the maintenance agreement. Developed in collaboration with the British Standards Institution (BSI) this code of practice gives recommendations for best practice in the sales, installation and aftercare of personal lifting products. The code includes measures directed at the removal or easing of consumer concerns and undesirable trade practices arising within the personal lifting equipment sectors of the lift and escalator business. 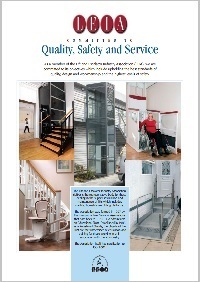 The LEIA Personal Lift Group has worked to make available a short leaflet which is a summary of member’s commitment to Quality, Safety and Service of personal lift products.